1. Old Navy used to be where I got many of my clothes, but over the last several months I haven't liked hardly any of their women's clothes. I think most of it is either trendy, immodest, or cheap-looking. They used to sell classics and really cute and unique things. Some of my favorite shirts and sweaters still are from Old Navy, and I've had them for years. Now when I get their emails, I hate almost everything I see. Maybe I just don't like the trends, or maybe I've finally just aged out of Old Navy(?!). What about you, do you still like Old Navy? Is it just me? I detest the currently popular "midi" length for skirts and dresses. It's great that it's modest, but I think it's unflattering and funny-looking. At least it is on me. 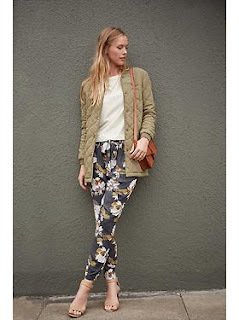 These pants are almost guaranteed to be out of style by next year (reflected by their reduced-to-$12 price tag). Sorry for ripping on you so bad, Old Navy! I used to love you and I want to love you again. Please bring back some classy, cute classics! 2. Thanks to a very effective magazine ad, I discovered Edy's Frozen Custard last week. Oh baby, is this stuff good. So creamy and rich. I think it's fine to eat it as long as it's a treat, not a staple. I dared to buy it while my dad the Nutrition Nut was visiting, but I hid it and only ate it when he wasn't around. It's hard to be personally judged on what I'm eating while I'm trying to eat and enjoy it. He'd think I don't love myself and am not very spiritually in tune for eating this. 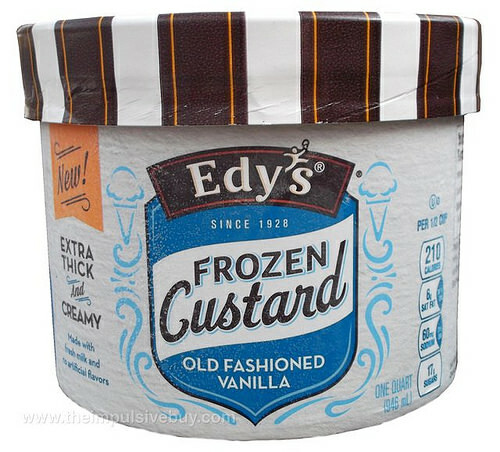 Sorry Dad, but I don't think ice cream has anything to do with my spiritual progress, and its because I love myself that I'm going to treat myself to this rich creamy deliciousness every once in a while! Peachy Southern Belle. My Peaches & Cream Barbie from childhood had a dress that was similar to this and I loved that dress! Channeling my inner Peaches & Cream Barbie! 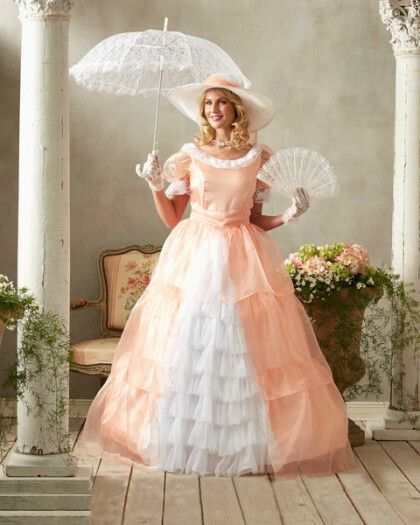 Gone With the Wind Barbecue Party Dress. Channeling my inner Scarlett O'Hara! Fab '50s girl. I've always liked the 50s, poodle skirts, and saddle shoes. Channeling my inner Sandy from Grease! My favorite is the first one. I dream about wearing dresses like that in my everyday life. Sometimes I really do think I was born in the wrong era. See #1 above (Old Navy!) for evidence. 4. I figured out a very easy and yummy crockpot chicken recipe on my own this week. Chicken and marinara sauce, with a little spices if you want, on low for about six hours. That's it! I'm probably more pleased with myself about this than I should be, but this is big for me because I always feel like I have to have a recipe when I cook. For me to try something new with no recipe or anything is progress in the right direction, especially since it turned out well! I don't know, maybe I should try out for one of those cooking shows? Ha ha. 5. My friend Jamie's first book was published this week! It's a young adult fantasy novel titled Bearskin that's based on an old fairy-tale. It's for sale on amazon and it's in bookstores, including Barnes & Noble. And Deseret News did a book review here. 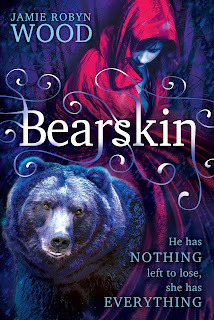 Jamie asked me to do a copyedit of an earlier version of Bearksin years ago, and it was a really good story. She said it's been changed a lot since then to its present published version, and I'm looking forward to reading it once I get my own copy. This summer I read the manuscript of her next book, and it was so good. She is a very talented writer and story-teller and I'm so excited for her! I'm throwing her a book launch party next week. This is a big accomplishment that deserves a celebration! This weekend I'm going to declutter the house, take down all the summer decorations and things, and decorate for fall. And we're going to an outdoor orchestra concert under the stars at Brucemore mansion, where they will be playing some of my favorite pieces.